My Little Pony Friendship Is Magic: Princess Twilight Sparkle on DVD Now! I have written about the My Little Pony Friendship Is Magic series before on this blog. It is bright, cheerful and fun cartoon that has been popular with both my daughter and sons. I like that the cartoon features values like friendship, teamwork and problem solving. 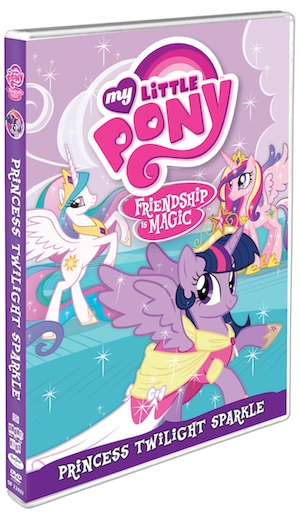 The My Little Pony Friendship Is Magic: Princess Twilight Sparkle DVD is now available in-store! It features 5 episodes from the television series that focus on Twilight's adventures, including the royal coronation event in Season 3, in which she earns her wings and become a princess! In addition, the DVD comes with a sing-along and a colouring sheet. WIN My Little Pony Friendship Is Magic: Princess Twilight Sparkle on DVD! 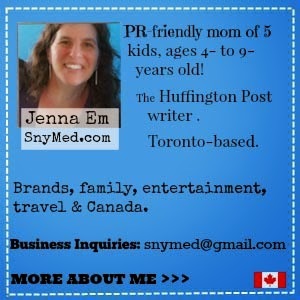 Contest is open to Canada & USA. Ends Thurs May 23rd, 2013. Leave a COMMENT below stating what you (or your child/grandchild) would do first if you were princess or prince. Then fill out the entry form below. GOOD LUCK! WIN My Little Pony Friendship Is Magic: Princess Twilight Sparkle on DVD! My granddaughter would be excited to win this! She'd throw her arms around me and say thank you grandma! If my granddaughter was a princess she would probably say everyone in the kingdom had to be a princess. She always wants everyone to dress up as a princess including her brother. My 5 year old said the first thing she would do is go find food for hungry people and an animal to play with. My daughter would love to be able to give some money to the poor. My daughters would probably organize a ball! She would probably have a fancy tea party. My granddaughters would be delighted to watch this DVD. They love their My Little Ponies. "Want to kiss a Princess - PUCKER UP!" First I would make sure all little kids got a day where they could feel special like a princess or a prince. First thing we'd do, would be to have a big celebration and invite everyone! :D My daughter loves MLP....her fave is Pinkie Pie. Thanks! My daughter said she would take her whole family to Disneyland. Im amazed at how many my little pony movies there really are! Such a great series!